I was all set to give my graduate student, Sandra, her preliminary oral assessment today, and she calls in sick with the flu. Now, to anyone who doesn't know her, this would smack of something suspicious. Fortunately, I do know her and am not suspicious, but I can't help but to raise an eyebrow mentally over the bad timing. On the plus side, it cleared up a couple of hours in which I wrote two recommendation letters (one for Sandra, actually), and am off to the library to try to digitize some video sequences. Also submitted yet another grant proposal. Sigh. Now the waiting. At least waiting princesses get a song. Alas, scientists have yet to find a tunesmith who can equal "One day my prince will come." I've spent the last while digging around files on old CDs, looking for some digital versions of figures from my doctoral work. It turns out there's a couple of pictures I want to use in an upcoming presentation I'll be giving early next year at the Society for Integrative and Comparative Biology meeting. Luckily, I've been using the same graphics program for all that time, the amazing CorelDraw!, so I'm still able to open and use those old files from my thesis. While tooling around those old files, I found a few other things. One was this little piece of artistic expression I did at another meeting. I still like it. Counting metres and perfecting rhymes. Now I myself am a skeptic, too. And the waves wash them away. The ulcer in my mouth in healing, but not yet healed. My dentist, Dr. Kent, went into the back of my jaw with a probe, pulled out a little white sliver, and said, "Feel that." Yup; it's hard. Just like bone. 'Cause that's what it was. Then he went back in and pried loose another splinter of bone, and said to his assistant, "It's like a boneless chicken." Wheee. So here I sit, with gauze in my mouth again. At least it's getting better, I'm planning on going back in three weeks for another follow-up, by which time I hope it will have completely healed up. On the plus side, though, I'm getting damn good at making fruit smoothies. I haven't really been having anything more solid than ice cream for a couple of weeks now, in an attempt to not rip it up by chewing. "For the love of beatings, I swear that on this night, you shall dine in hell!!!" Finished off another small grant proposal, this one for nine grand and change, for SOMAS. This is the second year I've submitted to this program. It's not anything like the same project as last year, which is probably a good thing, because I got hammered last time out. I think my proposal was ranked in like the bottom 20 percent or something of all they received. So I'm trying a different project this time. If I can crawl into the middle third of proposals, I'll be a little bit happy. I'd be much happier if I can get someone to actually give me money, though. Came in this morning to find another rejection email from the National Science Foundation over one of my grants. I don't think the ulcer in my mouth is getting better either. I've pretty much spent all of today in my office proofreading. It is a task that all authors hate. It is tricky and time-consuming and requires deciphering an arcane set of proofreading marks. And not all journals use the same marks! It is still kind of amazing that in this digital age, it seems that a lot of journals are still being typeset by hand rather than taking the author's digital manuscript and importing it. I did not spell "coral reef" with three "e"s, for example. I'm just glad that this was a short paper --- only four pages. Yet those four pages contained at least nineteen typos. Nineteen that I found, anyway. Still, the drudgery is compensated by the fact that working on a manuscript for publication is a good thing. It helps me believe that I am making some progress. 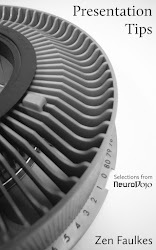 Due to storage limitations, this journal is now hosted by Blogspot at http://neurodojo.blogspot.com instead of my own server. The transition should be seamless if you were visiting via http://dojo.shorturl.com. Where have all the Lepidopa gone? I went to the beach today to collect animals. I got some mud shrimp, but again, sand crabs are proving incredibly elusive. I have no idea why. Because I really don’t want to live in a country with a state as stupid as Kansas. This is completely depressing. The US state of Kansas has ruled that science classes in public schools should include the teaching of intelligent design and the doubts it casts on Darwinian evolution. The move has dismayed the nation’s scientific community. I received my green card this weekend, so I am now officially a permanent resident of the U.S. I am still somewhat surprised at this development in general, and completely astonished at how quickly the process went. The attorney we we working with was sort of gearing us up for a process of a couple of years. And they're not actually green. I was in Santa Fe end of last week for a biology workshop, which was fun. Actually, got into a fascinating conversation with an artist on the shuttle to Santa Fe from Albuquerque. That alone was worth the trip. I was glad not to be driving out of Albuquerque, since I've heard from a very young age that it's very easy to get lost there. Apparently, you have to make sure you take that left toirn in Albuquerque.... Anyway, the hosts (W. H. Freeman publishers) fed me well, and put me in a very cozy little hotel room, and I met plenty of other cool biology people. It was really interesting to talk to people who were all really thinking hard about teaching introductory classes. Two things of note today. First, I made a trip to the aforementioned dentist office. I learned I have an ulcer in my mouth. Probably explains why my jaw was hurting a while back. It is pretty bad -- there was a bit of exposed bone in my jaw. The dentist scraped off some of the dead bone, trying to get a blood clot so that the gum tissue would grow back over it. Trying to get it to heal is probably going to mean a mostly liquid diet for a while. Final weird thing of the day. A while back I submitted a grant proposal, which I've done many times before and will do again. Only this time, I got a letter from our university president, Bambi, thanking me for submitting the proposal. Not sure why -- whether this one caught her attention, some random act, or whether she's doing it for all proposals now.